The first wolf family in Denmark since centuries? Denmark most probably now has its first wolf family since over two centuries! 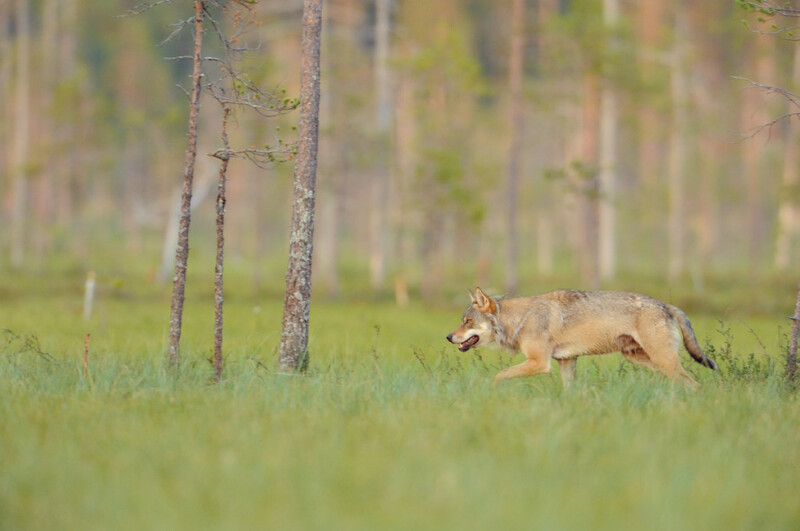 “Ulvetracking Danmark” (UD), a group of wolf enthusiasts in Denmark, have gone to great lengths to register the sounds of the Danish wolves, recorded in Jutland in January. Holly Root-Gutteridge, an English wolf expert and PhD student at Nottingham Trent University, believes that these howls stem from an entire wolf family. This means that Denmark in 2013 probably had its first wolf pups born in the wild for well over 200 years. “This is the biggest fauna sensation we have had for many years”, says Mogens Trolle, zoologist in the Nature Science Museum at the University of Copenhagen to the Danish DR Nyheter. ”There’s at least two adults there. The one with a nice deep howl which is almost a baseline to the chorus is probably the male and father of the pups – it’s rare to have unrelated males in the same pack,” Root-Gutteridge told UD quoted by The Copenhagen Post. “Possibly three adults, but I need more analysis to be sure. There are also pups on there, but I can’t seem to extract them from the recording”. “Considering the recording was made in January, they might be wolves that are eight to ten months of age, and not quite fully developed howls. I’m really not sure”, Root-Gutteridge said. That possibility is strengthened by the fact that the two different sets of wolf tracks were found on 30 January 2013 in the same area in Jutland where the howls were recorded. The first wolf in 200 years in Denmark was found dead in Jutland as recently as in November, 2012. Once the world’s most widely distributed mammal, the grey wolf declined across Europe as a result of relentless persecution over centuries, which confined it to only a few areas in the south and the northeast of the continent by the 1970s. However, with increasing public acceptance and legal protection, combined with an increase in wild ungulate numbers, and the following natural dispersal, the wolf has been able to begin to regain more and more of its former territory. ”The species is highly adaptable, and with the recent spread into western Europe, continuing range expansion is extremely likely”, is one of the conclusions in the study called “Wildlife Comeback in Europe” commissioned by Rewilding Europe and presented in September 2013.